Picture Collage Maker Pro, a simple-to-use Windows program that turns ordinary photos and pictures into stunning keepsakes to share with family and friends. With just a few clicks, you can create collages, scrapbooks, posters, invitations, calendars, and greeting cards. 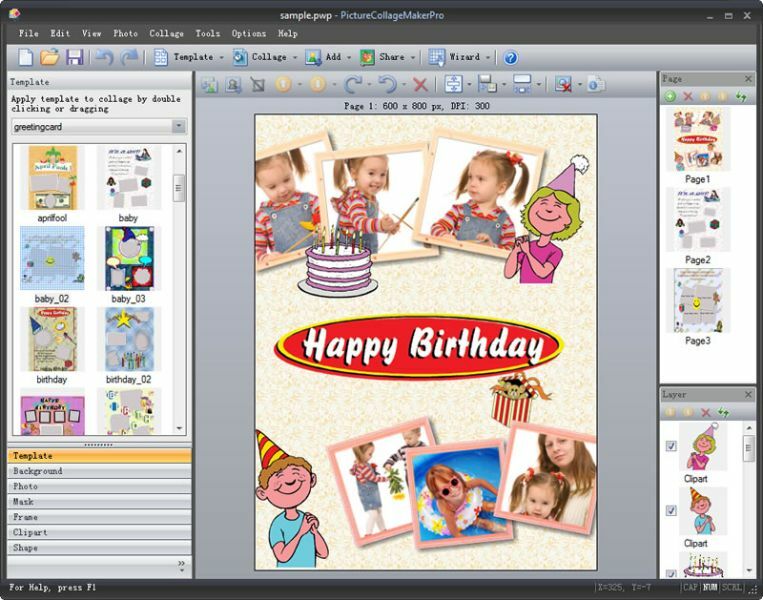 Unlike photography software that takes days to master, Picture Collage Maker Pro lets both seasoned collagers and new hobbyists become productive in minutes.Picture Collage Maker Pro comes with a library of professionally-drawn templates that offer you a wide variety of photo layouts and backgrounds for your collage. It lets you transform your special pictures into precious memories. This is a special edition for Father's Day, which contains 10 deluxe Father's Day collage and card templates. Download Picture Collage Maker Pro and make unique Father's Day gift for Dad now.